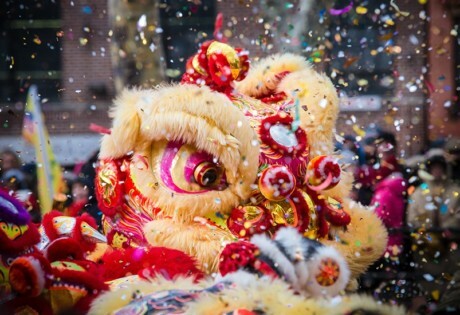 How to celebrate CNY at MBS: Toss some yu sheng, shop till night falls, and get trippy with art! Adrift’s menu (pictured top) includes Binchotan abalone and squid with sansho pepper and ink glaze, spicy wood-fired flounder, and suckling pig with lardo. We wouldn’t leave without having an auspicious yu sheng toss too! For the uninitiated, this is a salad of sorts loaded with fresh fish, shredded vegetables and crackers that everyone tosses together as they call out their new year’s wishes. Pro tip: the higher you toss, the better. You might not look elegant doing it, but it’s so much fun that you won’t care. 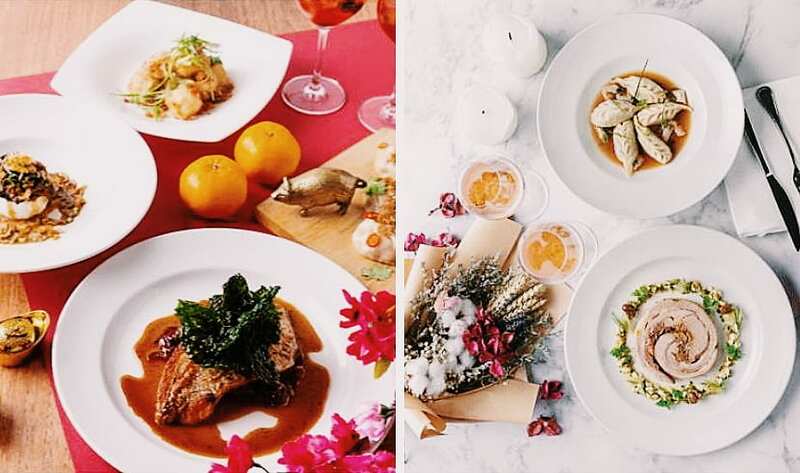 One of our preferred haunts for devouring mounds of seafood, this French bistro is serving up traditional CNY dishes with a spin. We’re talking a suckling pig stuffed with wild mushrooms, chilli garlic radish, bak choy and tender meat. The local favourite chicken rice is also taken up a notch with the addition of foie gras and black truffle. 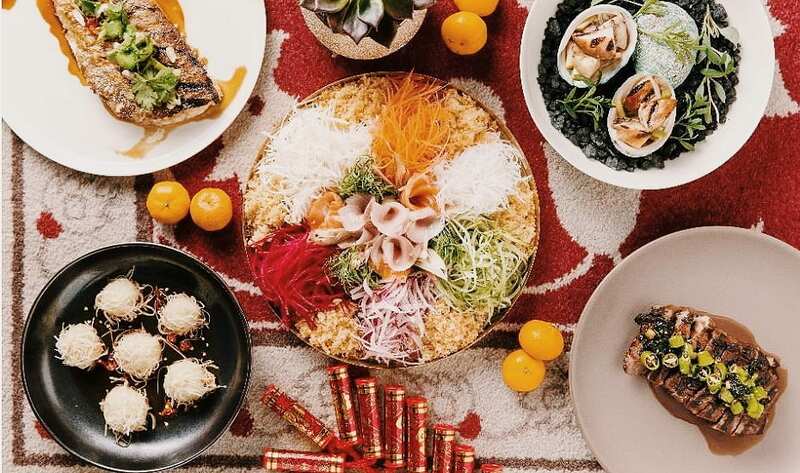 For an Italian take on CNY, look no further than Nostra Cucina’s festive dinner menu. Dig into a raw seafood salad, fried snapper with crispy kale and sweet and sour sauce, and crispy mozzarella with five spices, garlic and chilli. End on a sweet note with the vanilla pannacotta with tangerine and almond hazelnut biscotti. 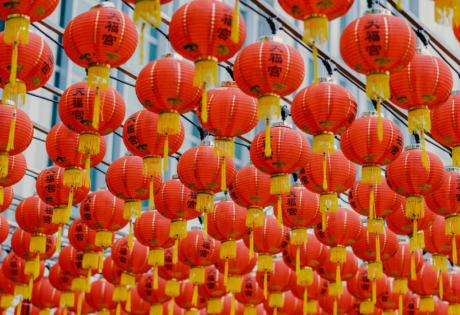 We hear the infamous Gordon Ramsay has exclusive festive surprises for CNY. Think a whole roasted pork rack (with slow-cooked pork belly still on the bone and braised pork knuckle), spicy fish consommé with prawn dumplings, and mandarin-orange mousse cake with kumquat and raspberry streusel. If you want to enjoy a traditional Chinese dinner the authentic, old-school way, we suggest a table at Rise. 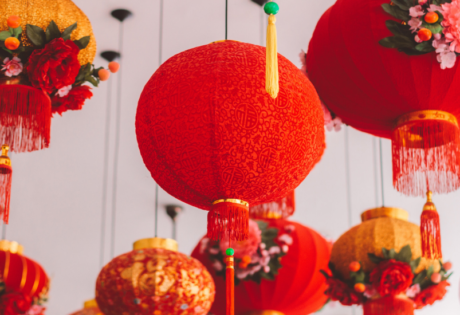 Buffet highlights include herbal drunken prawn, braised duck with sea cucumber, almond soup with glutinous rice dumplings and a load of CNY cookies to feast on. If you’ve ever been annoyed by the stores going lights off before you’re ready to end your spree, you’ll have a blast at MBS. Plus, on the first week of CNY, look out for ambassadors who will be giving out fortune cookies – hit follow @TheShoppesMBS on Instagram to get yours! From Jan 31 to Feb 10, Sands Rewards LifeStyle members can earn 10% instant rewards on dining and 6% on shopping with a minimum spend of $3,000 at over 200 participating outlets. 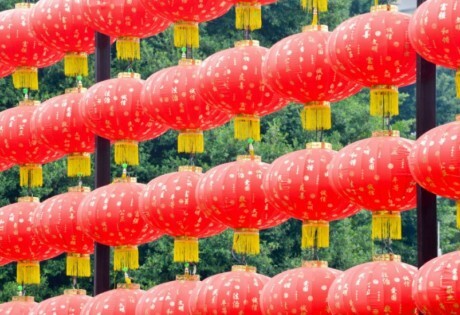 From now to Feb 19, members can receive complimentary red packets when they sign up for free at any membership counter. ICBC cardholders enjoy free attraction tickets and instant tier upgrades upon sign up. 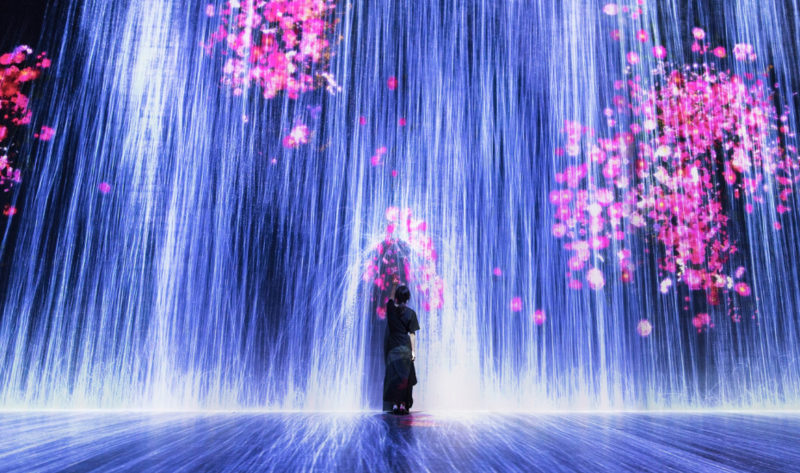 Complete your trip with a visit to one of the many exhibitions at Marina Bay Sands. We have a soft spot for the iconic Future World exhibition – if you haven’t experienced it, we highly recommend taking walk through the calming Sanctuary, sticking your hand into the digitally programmed waterfall at Nature, or taking that perfect snapshot in the middle of the bedazzled Space. We’re also dropping by the latest exhibition that showcases the life of Nobel prize-winning physicist Richard Feynman. His work in quantum mechanics impacts the way we understand physics till today. Take a peek into his personal letters and photographs for a glimpse of his curious mind that made him one of the most important scientists of our time. Marie Kondo-ing your home in preparation for CNY? Head inside the Minimalism: Space. Light. Object. exhibition for inspiration on how to further simplify your home and lifestyle. This gallery offers insights on the history of the movement: yes, minimalism goes way back and is not just a recent fad! This post is in partnership with Marina Bay Sands.